The HTC U Play were launched in India in February for the price of Rs. 39,990 respectively. Just months after launch, HTC has slashed the price of the HTC U Play by Rs. 10,000, and has made it available for Rs. 29,990, while also announcing exclusive online availability with Amazon India. 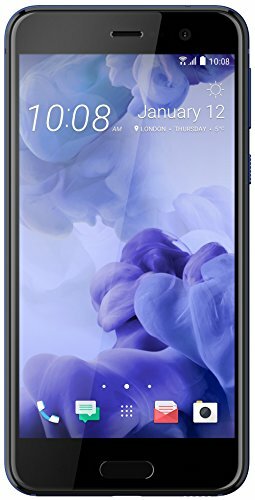 The HTC U Play is available at Amazon India in Sapphire Blue and Brilliant Black color options, and the zero cost EMI offer can also be availed by customers for a limited period. Amazon is also offering up to Rs. 2,300 Amazon Pay cashback on purchasing under credit card EMI, and one year insurance coverage for accidental and liquid damages by Cover Plus for free. The HTC has launched the 4GB RAM + 64GB storage HTC U Play variant in India. The smartphone sports a 5.2-inch full-HD (1080×1920 pixels) Super LCD display with Gorilla Glass. It is powered by an octa-core MediaTek Helio P10 SoC. It sports a 16-megapixel rear camera with a BSI sensor, optical image stabilisation, PDAF, an f/2.0 aperture, and dual-tone LED flash. The front camera sports a 16-megapixel sensor with an UltraPixel mode, a BSI sensor, an f/2.0 aperture with a 28mm focal length. The HTC U Play’s inbuilt storage is expandable via microSD card (up to 2TB). Connectivity options include 4G LTE with VoLTE, GPS/ A-GPS, Bluetooth v4.2, Wi-Fi 802.11ac, NFC, DLNA, Miracast, HTC Connect, and USB 2.0 Type-C. The HTC smartphone sports an accelerometer, ambient light sensor, digital compass, and gyroscope, weighs in at 145 grams, and measures 145.99×72.9×7.99mm. It bears a fingerprint sensor on the Home Button. HTC U Play is powered by a 2500mAh battery with fast charging support (5V/2A) that’s rated to deliver up to 15.21 hours of talk-time and up to 427.54 hours of standby time. htc uplay, htc u play price, htc u play price in india, htc u play reviews, htc u play mobile price, htc u play mobile.